Because greatness has no finish line. 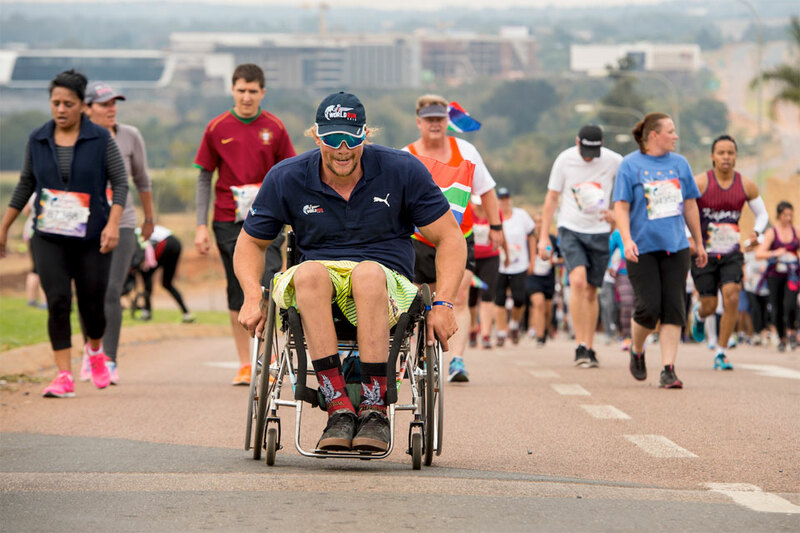 Following the success of previous editions, Wings for Life World Run (WFLWR) returns to South Africa for the fourth year on 7 May 2017, in Centurion at SuperSport Park, Pretoria. Presented with the support of main partners - Puma, BF Goodrich and Garmin, WFLWR has pioneered the concept of a synchronized race where participants of all levels, across the globe, run simultaneously, no matter the hour or the weather in their location. WFLWR 2016 saw 130,732 participants from 203 nations run a staggering 1,255,00km combined, raising €6.6 million on event day, with 100% of the proceeds going towards spinal cord research. Similar to previous years, WFLWR 2017 will have its event base in South Africa while hosting satellite bases in 24 locations across 23 countries, including Australia, Italy, Sweden, United Kingdom and United States. All locations worldwide will start simultaneously at 11am UTC with participants running together in varying light and weather conditions. 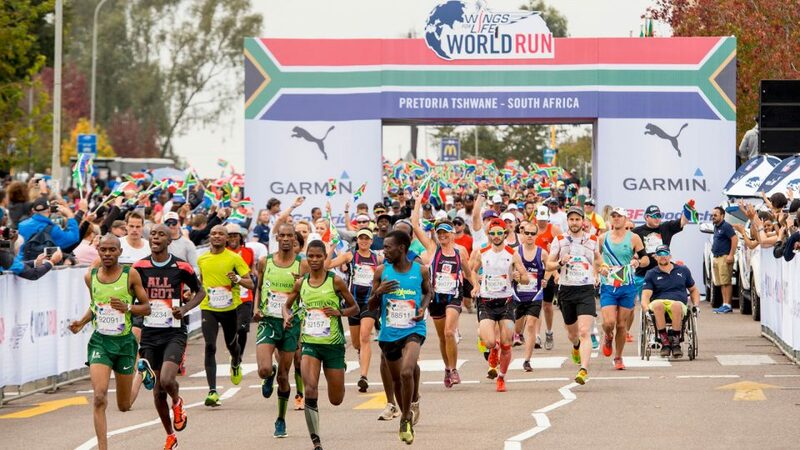 Runners who are located outside the 23 countries and could not get to an official location can also be a part of the event with the Wings for Life World Run app. By downloading the app on their smartphones, international runners can take on the virtual catcher car and aim for their personal best with the goal calculator. This refreshing initiative introduced in 2015 allows WFLWR to get as many people to run globally at the same time for the same cause. WFLWR is the world’s only race that has no finish line, no set distance to cover and no set time to beat. Instead, a catcher car chases down the participants, ending their race as the car overtakes them. The event concludes only when one male and one female World Champion remains. Catcher cars start out thirty minutes after the global start signal, at a pace of 15 km/h, which increases at strictly regulated intervals. These cars are driven by celebrities, from popular television personalities to stars of the sporting world. The unique concept of WFLWR allows participants to set individual goals for the event, with some jogging for 5km and others even lasting past 80km. 2016 men’s Global Champion, Giorgio Calcaterra, achieved an impressive distance of 88.44km, keeping ahead of the catcher car in Milan for five and a half hours! WFLWR is suitable for runners of all abilities, be it on foot or on the wheel. Participants who had never raced a day in their lives, managed a minimum of 30 minutes on the course - running, jogging, walking or rolling a wheelchair. WFLWR 2015 saw the first wheelchair competitor, Aron Anderson, take the national crown in Sweden at 64.82km. Millions of people worldwide are dependent on a wheelchair after having sustained a spinal cord injury, most often as the result of a traffic accident or a fall. In an instant, a person can go from being actively mobile to being paralysed. We can always be vulnerable to spinal cord injuries. WFLWR debuted in 2014 to benefit the not-for-profit Wings for Life Spinal Cord Research Foundation, which is dedicated to finding a cure for spinal cord injury. 100% of all entry fees globally and donations contributed by WFLWR’s participants will go towards the foundation which funds research projects determined to improve treatment and therapies for spinal cord injuries and ultimately, a cure. The early bird rate is now available till 15 December 2016 and is limited to 5,000 participants, with the first 3,000 entries receiving a limited-edition Puma running shirt. Entrants who register early will save R100 on the entry fee (normal rate is R250). 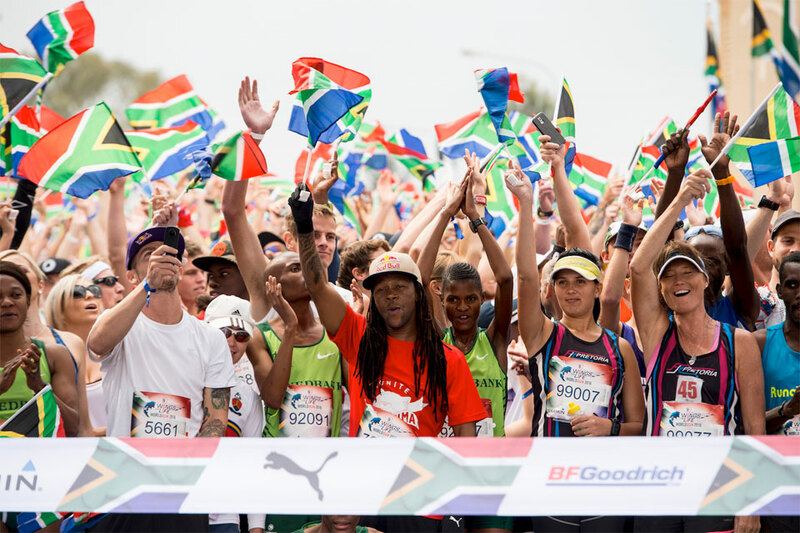 More than 300,000 runners have participated in the Wings for Life World Run. Sign up now and be part of the global movement next year!